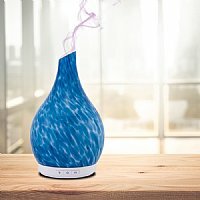 Which Essential Oil Diffuser to Choose? With all the choices out there, how do you choose which model is right for you? 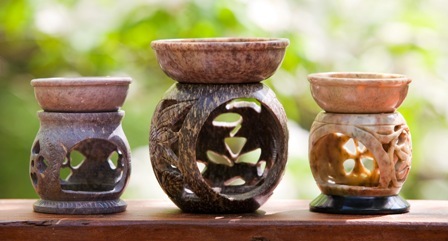 Diffusers are one of the most efficient and beneficial delivery systems for aromatherapy, but it's wise to do some research, and figure out which style best meets your specific needs. Below are descriptions of some of the most popular diffusers available, but please don't hesitate to contact us if we can help you decide! diffusers. They have the advantage of being beautiful as well as functional, and come in many varieties and styles, from soapstone to ceramic to glass. They're simple and affordable, and add a nice ambiance to your space. To use, simply add a few tablespoons of water and approximately ten drops of your chosen essential oil, and light the tea candle. We recommend using beeswax candles as they last much longer, don't burn as hot, and are a much healthier alternative than the cheaper, paraffin candles. 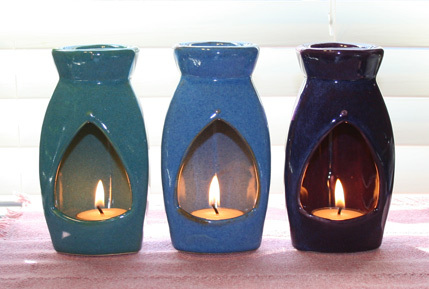 These are especially nice to use during meditation or yoga. The fanfuser is quiet, efficient, and easy to use. It's a good choice for a small space (500 square feet or less) and is a nice option around pets or children, as there is no glass or candle flame to worry about. 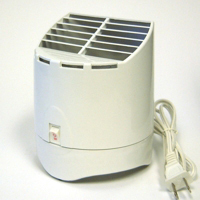 In this unit, a small fan blows air through a pad containing the essential oils. And unlike the nebulizing type diffusers, thick oils are fine to use with fanfusers, as there's no glass to clog or clean. This is the preferred model of many aromatherapists and massage therapists. These diffusers pump air through a glass chamber filled with essential oils. They are well regarded due to their effectiveness in diffusing essential oils and in maintaining their therapeutic properties. The nebulizing diffuser uses no heat, and converts the essential oil into microscopic size droplets which stay in the air for long periods of time. These droplets produce a fragrant aroma and are easily assimilated through the lungs and into the bloodstream. These are powerful, but not recommended for those who don't want to contend with cleaning the glass between oils, or who want to diffuse thicker oils such as vetiver or patchouli. Cool Mist or Ultrasonic Diffusers are very popular, because they're so esy to use, economical, and quiet. We love the beauty and elegance of the Gaius model, shown here, our newest addition. We offer beautiful, handcrafted aromatherapy necklaces. These are a lovely way to carry your essential oils with you wherever you go. To browse the diffusers we offer, click here.